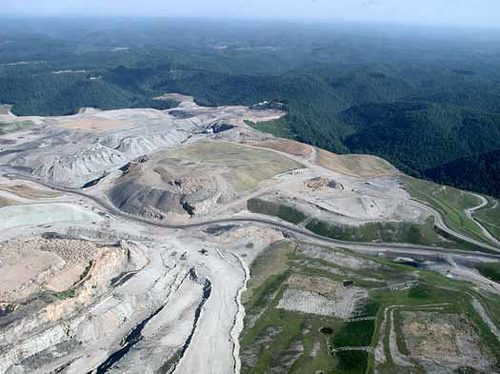 May 10, 2011 by Ken Ward Jr.
There’s a new study out from West Virginia University researchers that advances their previous work trying to understand the public health impacts of living near mountaintop removal mining operations (see here, here and here). Research has shown an increase in health disparities as a result of coal mining in Appalachian communities. A new study conducted by the West Virginia University School of Medicine shows that the disparities are especially concentrated in mountaintop mining areas. Those areas have the greatest reductions in health-related quality of life even when compared with counties with other forms of coal mining. Residents of mountaintop mining counties reported significantly more days of poor physical, mental, and activity limitation and poorer self-rated health compared with the other county groupings. Results were generally consistent in separate analyses by gender and age. Mountaintop mining areas are associated with the greatest reductions in health-related quality of life even when compared with counties with other forms of coal mining. These disparities partly reflect the chronic socioeconomic weaknesses inherent in coal-dependent economies and highlight the need for efforts at economic diversification in these areas. However, significant disparities persist after control for these risks and suggest that the environmental impacts of MTM may also play a role in the health problems of the area’s population. Authors of the study were Keith J. Zullig and, yes, our friend Michael Hendryx, both of the medical school’s Department of Community Medicine. Using a Centers for Disease Control and Prevention four-question survey, researchers talked to residents in West Virginia, Kentucky, Tennessee, and Virginia about their physical and metal health. Researchers used data from the Centers for Disease Control and Prevention’s the Behavioral Risk Factor Surveillance System, the world’s largest telephone health survey system. Residents were divided into groups who lived near mountaintop removal mining, those who lived near other coal mining and those who didn’t live near any mining. Self-rated health and health-related quality of life were significantly reduced among residents of mountaintop mining communities in the unadjusted and adjusted models. Mountaintop mining county residents experience, on average, 18 more unhealthy days per year than do the other populations. That’s approximately 1,404 days, or almost four years, of an average American lifetime. When mountaintop mining and other coal mining counties were not separated in a previous study, there were 462 reduced health-related quality of life days across an average American life. 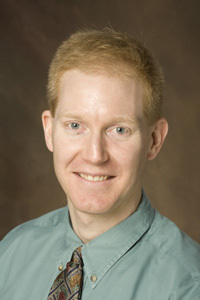 Hendryx said that this study also looked at the health effects on both men and women. A common belief is that if coal mining causes health problems, those problems are mostly occupational related problems experienced by coal miners themselves, he said. When analyzed by gender and age group, although the effects were slightly stronger for men, effects were present for women as well, and trends were similar for the mountaintop mining communities. So it’s not just occupational. These findings suggest the unique contributions mountaintop mining activity makes to negative health ratings among residents in counties with mountaintop mining activity compared with residents in other county groupings. We don’t know exactly how this affects the air and water. That’s one of the big next steps – to collect that data and relate it to human health. My question is … Will Rep. Nick J. Rahall take a few minutes during tomorrow’s hearing in the House Committee on Transportation and Infrastructure (Part 2 of “EPA Mining Policies: Assault on Appalachian Jobs”) to ask EPA to comment on what this study says about the impacts of mining on his constituents in West Virginia’s southern coalfields? I hope Rahall surprises us, but I expect the same as always from Rahall, Manchin, and Rockefeller; a refusal to acknowledge the ill health effects of mtr on the innocent people living near mtr sacrifice zones. Give us the 4 questions please…. Those are listed in the study itself, which you can access if you click through the links in my post. 2. Now, thinking about your physical health, for how many days during the past 30 days was your physical health not good? 3. Now, thinking about your mental health, for how many days during the past 30 days was your mental health not good? 4. During the past 30 days, on how many days did poor physical or mental health keep you from doing your usual activities? — County of residency (used as a measure of mountaintop removal activity) does not necessarily indicate exposure … coal mining activity may be distributed more heavily in some parts of a county than in others, and mining effects may cross county lines to affect non-mining counties. — Only 52 counties that were located within Appalachia and where coal mining was present were available for analysis. — Multiple statistical tests raise the possibility of a “type I error,” though most Appalachian mining effects were significant. A type I error is a false positive. For example, For example, if a null hypothesis states a patient is healthy, and the patient is indeed healthy, but the test rejects this hypothesis, falsely suggesting that the patient is sick. 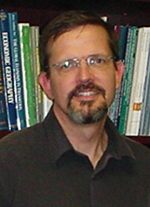 http://en.wikipedia.org/wiki/Type_I_and_type_II_errors ..
— Additional unmeasured cofounds such as psychological stress and economic uncertainties among residents and workers in mining areas may influence the results. — The study does not include direct environmental measures of air and water equality. The psychological stress of thinking that your only means of making a living is by destroying the beautiful mountains that surround you can only lead to poor mental and physical health. It’s not like these people are the true beneficiaries of the mined coal; those beneficiaries live in 15,000 sq. ft. homes in places like Jupiter, Florida where they don’t have to see or think about the devastation going on back in and to the “hills”. Those of us who live amongst mtr and see it happening in our communities and throughout the state and who experience the “gut” reaction to its ever looming presence over more and more of our mountains do not need a study to tell us that engaging in a practice or even just watching a practice that you know is morally wrong and culturally and environmentally destructive is going to be harmful to your health. I’d like to read the full paper, but when I went to the Journal site, you have to have a subscription. I think I have had a similar problem in reading the full study online in the case of some others of Michael Hendryx’s papers. I know you, Ken, are super-busy. Because there are a number of people who think these studies are important, it might be helpful if they would gather them together, and post them at a single site; and post that link here. Maybe someone has already done so! By my above response, I did not mean to belittle the study. I think it is important research that needs to be conducted. Hopefully, it will continue to shed light on further impacts of MTR. It’s not a matter of my time … these are subscription only journals and I don’t own the copyright to those articles, so I can’t post them without the permission of the journal. Also, I don’t understand how the very substantial outmigration from coal-producing areas in Appalachia over the past decades is not also considered a likely contributing demographic factor in influencing healthiness in the remaining poplulations. There has been a significant self-selection process occurring, and I don’t think age is the only criteria. Structural unemployment is associated with all sorts of poorer health “metrics.” I once compared the reported incidence of on-the-job disabling injuries from a deep southern coalfields WV county school system, where a variety of jobs were relatively scarce, with the same metric in a similar county up north with a much better local employment climate. The county with high structural unemployment had more than a fivefold amount of reported on-the-job injuries, compared to the northern county. But I don’t think the southern county school system was actually five times as unsafe a workplace. I think structural unemployment creates pressures that result in worse health outcomes, as measured by many metrics, including self-reporting as in the recent Hendryx study. The studies report controlling for risks from “smoking status, alcohol use, educational attainment, marital status, race/ethnicity, body mass index, income, metropolitan residence status, and access to physicians.” None of those specific metrics alone or together purports to account for all of the adverse health effects of diminished status or powerlessness — see my citations. 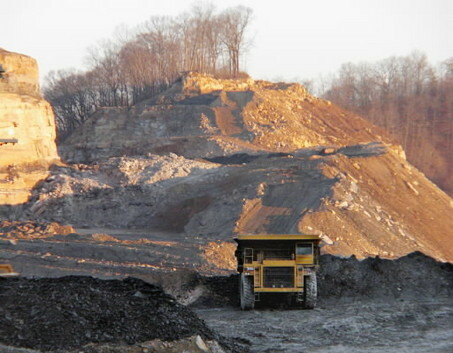 The studies note that “persons in central Appalachia, where coal mining is heaviest, are at greater risk for major depression and severe psychological distress compared with other areas of Appalachia or the nation,” but I did not see a control for that factor, which any doctor will tell you is central to self-perceived healthiness. The studies do not take into account the substantial outmigration of people from and lack of inmigration to these areas, which involves a self-selection process that cannot but have health-related differences. Thanks again for engaging on these issues … these are important matters and interesting questions that you raise. Could you provide some specific citations to scientific articles (rather than Wikipedia entries) that support your thesis that it is these other things you mention that are at play here, rather than mountaintop removal? Can you provide even one peer-reviewed study that specifically supports that thesis? How do you know that? Have you reviewed the specific data used here to make that determination? It seems pretty clear that some of the specific things you mentioned that were controlled for — educational attainment, for example — play a very large role in the “diminished status” you talk about. Don’t education, poverty, race, access to physicians — don’t those things play a central role in “diminished status”? No study can do absolutely everything. Science doesn’t work that way. You know that. What would John A. Williams say? “The environmental impacts of MTM “MAY” also play a role in the health problems of the area’s population.” (my caps). I don’t dispute that rather unsurprising conclusion — but that’s a long way from saying that they DO or even most likely do play such a role. And, there is not a shred of evidence cited in the studies showing ANY environmental/toxics causation — just a statistical association giving rise to a POSSIBILITY. How about some other possibilities? What do you think the possible demographic results of tens of thousands of people leaving an area? Do you think after such a process, those who remain might, for various reasons, be a bit more likely to report themselves as not feeling well in aphone call — which, after all, is the basis of these “disparities” that these studies report? What would John A. Williams say about this? And could he be wrong? — Living near open-cast coal mining sites and children’s respiratory health, Tanja Pless-Mulloli, Denise Howel, Andrew King, Ian Stone, John Merefield, Jan, Bessell and Ross Darnell, Occup. Environ. Med. 2000;57;145-151. — Respiratory morbidity in Merseyside schoolchildren exposed to coal dust and air pollution, Archives of Disease in Childhood, 1994; 70:305-312. Ken, exactly how am I disputing their only conclusion, quoted directly by you, that there “may” be MTR environmental toxic effects that are directly causing health disparities? I agree, it’s true, there “may” be such effects. I simply point out that there are other possible explanations, too, that the studies do not consider. Like demography. Got any answer to my question on that? These studies do look at demographics … and they look at many of the demographics that would be measures of the diminished status you are concerned about — education, poverty, access to health care, just to name a couple. Your argument, if translated to climate change, would support the notion that no action on greenhouse emissions is needed unless you can point to exactly what molecule of carbon dioxide from exactly what power plant pushed the Arctic ice to the melting point at exactly what point in time and what point on the globe. Another possible translation would be that if you can’t prove to a 100 percent certainty that the varying temperatures of the globe are not part of the natural cycle of climate, then we can’t put a price on carbon dioxide. Science simply doesn’t do that … and you know it. Perhaps you’re not a “denier,” but you certainly are a contrarian, or at least your being contrary. Scientists used to say — some of them — that greenhouse gases “may” cause some degree of global warming. Scientists say today — essentially all of them — that GHGs “DO” cause global warming. Hendryx, as you quote him, says that MTM mining’s “environmental” aspects (meaning toxic emissions) “may” directly cause some degree of adverse health outcomes/effects among people who live nearby. This seems to be reasonable, and based on established data. It’s certainly difficult to disprove a possibility. It means that further research to document toxic causation pathways is worthwhile. But neither Hendryx nor anyone else say or can say that toxics from MTM mining activities DO cause adverse health effects. And his reports are full of caveats describinh how tentative even this conclusion is. That is the difference between well-established climate science, and the nascent science of poor health in the coalfields. I am a contrarian, I admit, if that means I like to challenge what I see as exaggerated claims about both the positives and negatives of coal. I find such exaggerations — not in Hendryx’s studies, but in how some people spin them. Anthropogenic warming over the last three decades HAS LIKELY had a discernible influence at the global scale on observed changes in many physical and biological systems. Am I saying the science on MTR’s possible impacts on human health is as certain as the science of climate change? No. But what I am saying is you are demanding a level of exactness from Hendryx that you don’t demand of other science in other areas that you happen to be (rightly) passionate about. Well, we’ve narrowed the issues. I see Hendryx as presenting an interesting and suggestive idea that requires much more evidence to get even him to the “very likely” stage. And, his work certainly does not rule out all of the other possible explanations for the disparaties he finds. This is the toughest part of epidemiology, the many confounders. I am not “demanding” anything of Hendryx. (I would like it if he would discuss his work on here, though. I think we would see that he understands its limitations quite well). I do find examples of people taking his work and making exaggerated claims based on it. I “demand” that they stop! (LOL!). Engaging in discussions on blogs — and with the media more generally — is a controversial thing for scientists, as you well know. Your second favorite blog, Climate Progress, has written about this, and advocated for scientists working more with the media. 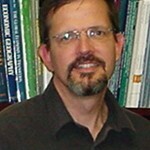 Dr. Hendryx did do a website some time ago. Perhaps I will try to schedule another one if he’s willing. 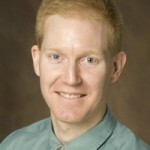 What 3 questions would you like to ask Dr. Hendryx? There’s not much use in talking to Ken about something that he is already pre-disposed to believe. The word “may” to one reader justifiably means it “may not cause”, and to another reader justifiably means it “may cause”. Both are true. The readers are merely looking at the picture from two sides. I could hope up a picture frame with portraits on both sides of the frame and one person can truthfully say I see a picture of a dog and the other a cat and both be correct simply because of where they are physically standing relative to the picture frame.